Mister Global 2017 will take place in the beautiful city of Chiang Rai, Thailand while the Finale will be held in Chiang Mai, Thailand on May 20, 2017. 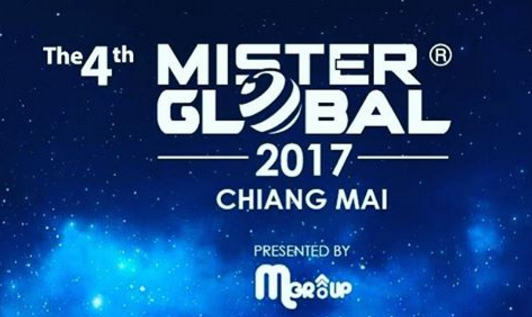 Pradit Pradinunt, Chairman of the Mister Global Co.,Ltd., announced today that the 4th Mister Global World Final, supported by Tourism Authority of Thailand, will be held in Chiang Mai on May 20, 2017. The 2017 Mister Global World Final is a second-year partnership between the Mister Global Co.,Ltd. and M Group Organize & Media Co.,Ltd., a leading entertainment company in Northern Thailand that has been organizing world class events nationally and internationally for the past 20 years. “I am very pleased to announce that Thailand will once again host the Mister Global Pageant,” said Pradinunt “Since its inception in 2014, the Mister Global Pageant has become a globally recognized brand and a member of Grand Slam of Beauty Pageants™. “M Group Co.,Ltd. and Tourism Authority of Thailand welcome the 4th Mister Global World Final, contestants and guests to Chiang Mai, Thailand,” said President of M Group Co.,Ltd., Mr. Adisorn Suddee. “We are ready to set the stage for this glamorous event, and look forward to showing the contestants and guests, the exciting and vibrant culture of our beautiful city of Chiang Mai. Besides Chiang Mai, they will also visit Chiangrai City to promote eco-tourism and advancing the pageant's advocacy "Saving Environment Program”. The 4th Mister Global World Final will provide a platform through committed partnership with organizations, and sponsors to promote tourism and culture, all while increasing awareness of environmental causes. The pageant will feature contestants from more than 40 countries around the globe. They will be judged in four categories: swimwear, evening wear, fashion and interview, as they vie for the coveted title of Mister Global 2017. Tomas Martinka, Mister Global 2016 from the Czech Republic, will crown his successor at the conclusion of the pageant .